Buy Red Wine Petit Verdot Casa de la Ermita O.D. Jumilla. 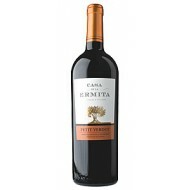 Red Wine Jumilla, Grape variety 100% Petit Verdot. The aging time was 12 months in barrels of French and American oak.